SpaceX’ unmanned Dragon capsule sitting atop the Falcon 9 rocket getting ready for a maiden launch on May 7 (Credits: NASA). If everything goes according to plan, the first American private cargo transporter will embark on its maiden journey towards the ISS by May 7. During the demonstration mission, the umanned Dragon capsule will launch from Florida’s Cape Canaveral aboard a Falcon 9 rocket which will carry it to low Earth orbit to dock with the ISS. If the test mission is successful, the station will gain a new cargo resupply vehicle as well as the potential next generation astronaut taxi. But obviously we are not that far yet. After the retirement of the Space Shuttle fleet, NASA became dependent on Russia, Europe, and Japan to carry supplies or astronauts to the ISS. SpaceX promises to reestablish self-sufficiency for the US. Having been awarded a $1.6 billion contract from NASA a few years ago, SpaceX is the first from the series of emerging private players to be put to the test. 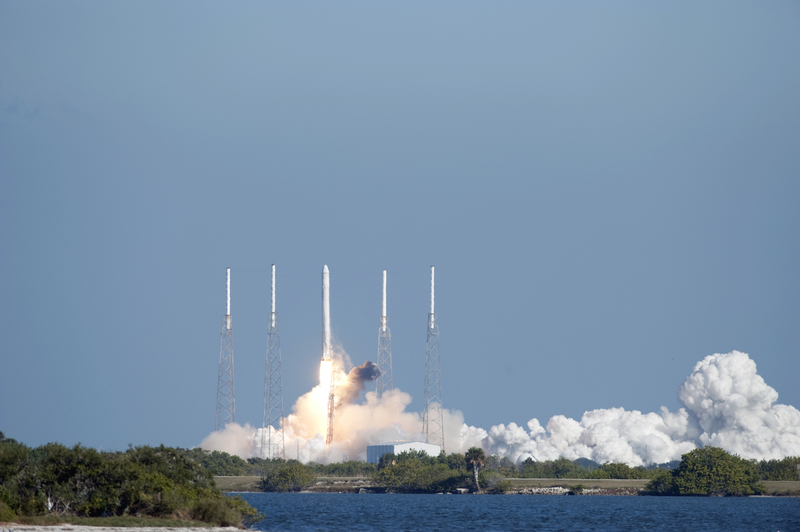 The first successful demonstration flight of Dragon/Falcon combo took place in December 2011 (Credits: NASA). 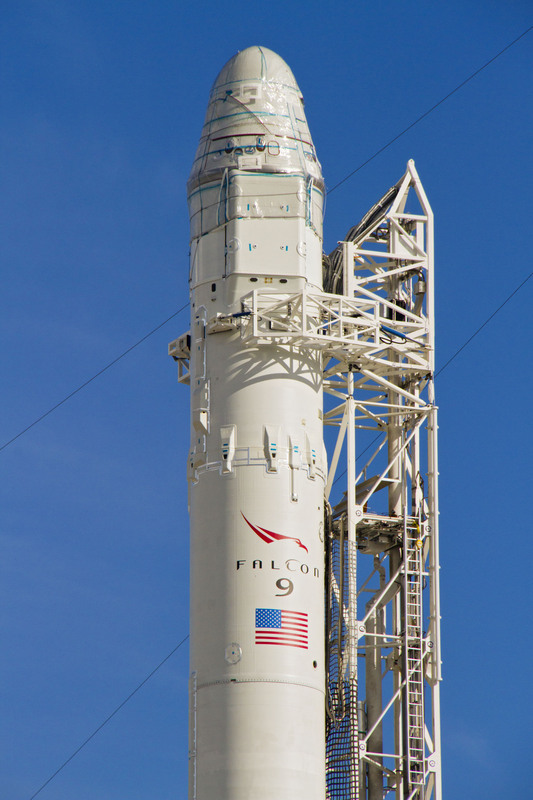 If the test flight succeeds, the Dragon/Falcon combo will probably enter into regular service later this year. It’s especially critical to fill the gap left by the Space Shuttle, which was capable of carrying material from the space station back to the ground. The Russian, Japanese, and European supply vehicles are designed to burn during reentry. The reusable Dragon is intended to be able to carry several hundreds kilograms of material back to Earth, including important scientific experiments. Increasing the potential for access to research experiments aboard the International Space Station is one of the things the scientific community is looking forward to as a result of a successful flight. Meanwhile SpaceX engineers are working on a launch-abort system for Dragon that would make the capsule eligible to carry humans. NASA provided SpaceX an additional $75 million in a contract awarded last year. If the deadlines are met, by 2017 NASA should be able to send astronauts to space on a private American space taxi.